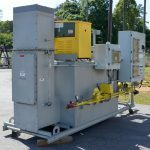 Thermal Oxidizers - pdblowers, Inc. 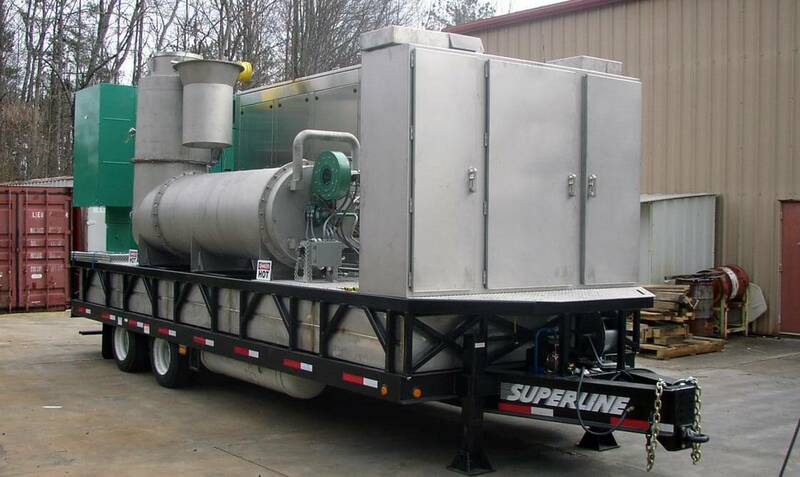 Thermal oxidizers are widely used as a primary process in environmental remediation systems. They’re also commonly used as downstream components for manufacturing processes like printing or spraying. When a process emits volatile organic compounds (VOCs)—vapors that cannot be safely discharged into the atmosphere—thermal oxidizers offer a more environmentally-sound solution. At 1800° F, vapors like gasoline, diesel, and jet fuel combust, or oxidize, leaving behind components safe for discharge (carbon dioxide and water). Vapors must be concentrated at less than 25% of the lower explosive limit (LEL) for controlled burning. Every system we build is optimally designed for its specific flow requirements and contamination levels. 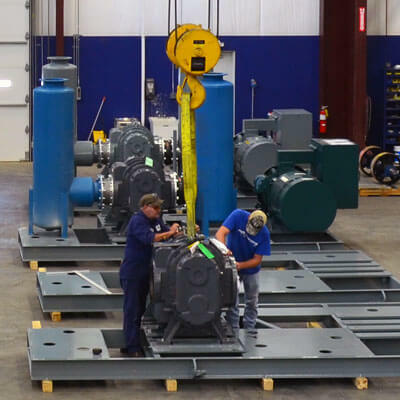 Total system integration means that we add components as needed for optimum function of each custom build—whether it’s mobile in the field, or intended for downstream process installation. 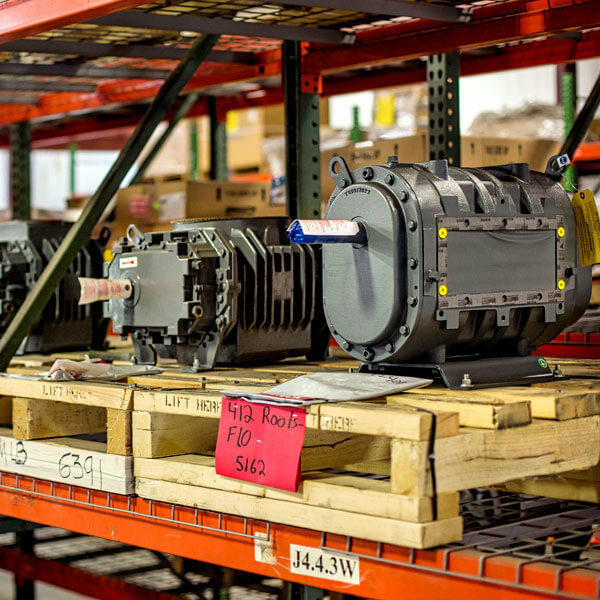 A system may include a vacuum pump, electric generator, or other fabricated components. 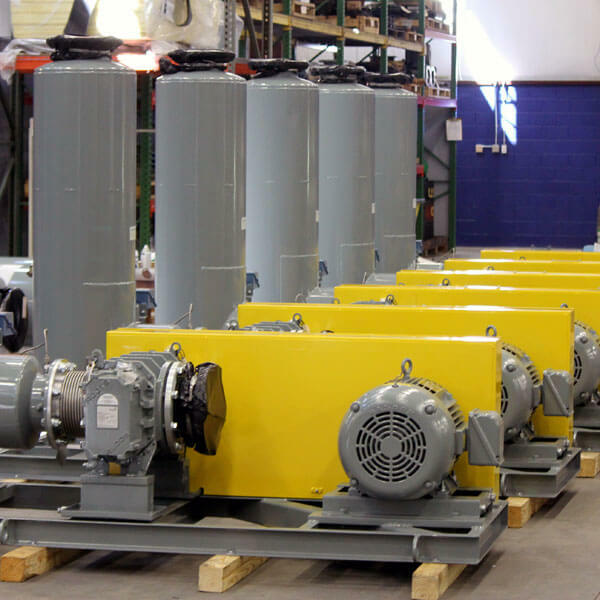 We can package entire systems onto a skid or containerize them; add power distribution, instrumentation, and controls. 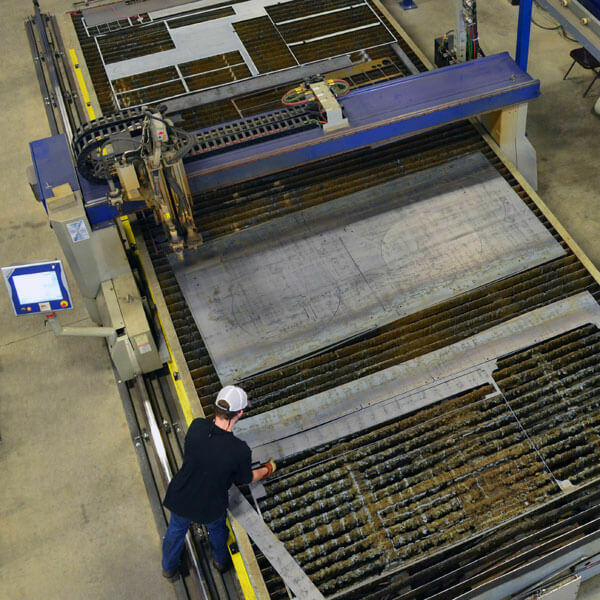 Our fabrication shop makes components as needed for assembly and tests everything before we ship. 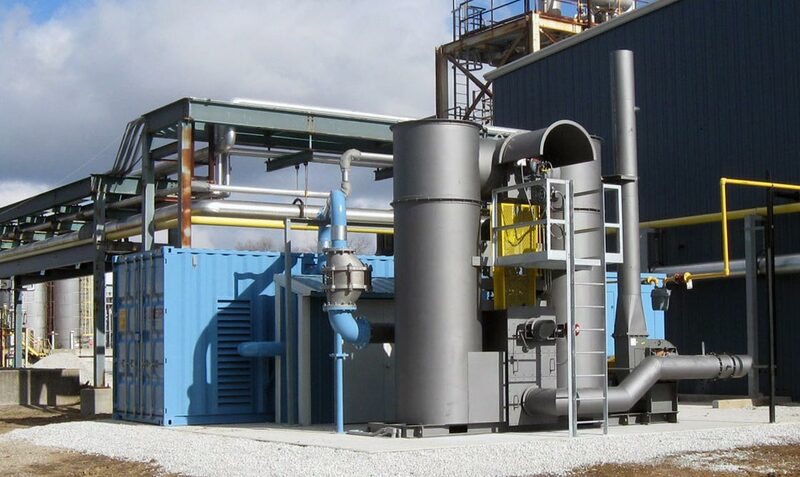 Our expertise with emission control technology is primarily with these thermal oxidizer systems—systems that use a gas flame and combustion air source to heat air and ignite VOCs. It can often be the most appropriate technology to control a given process stream, with the least capital investment, depending on the industry’s exhaust flow and its contaminants. We can also put together a team to consult on other system types, including catalytic oxidizers and electric catalytic thermal oxidizers, if you have a need to use auxiliary fuel types. In our rebuild service, we repair or replace existing components as needed, for a range of different system types. This can include adding new process components, new instrumentation, or new monitoring. Issues with controls are often the source of trouble for thermal oxidizer performance. In routine service, we check the sensors to detect ignition and replace igniter elements if needed. Our maintenance also makes sure that the operation sequence is right, all safeties are met, and all valves and controls are in good shape for efficient, safe combustion. For better performance and customization, we also reline thermal oxidizer interiors with high performance insulation. We remove any existing or damaged liner, prep the surface, and have the special tools to anchor new ceramic block insulation. 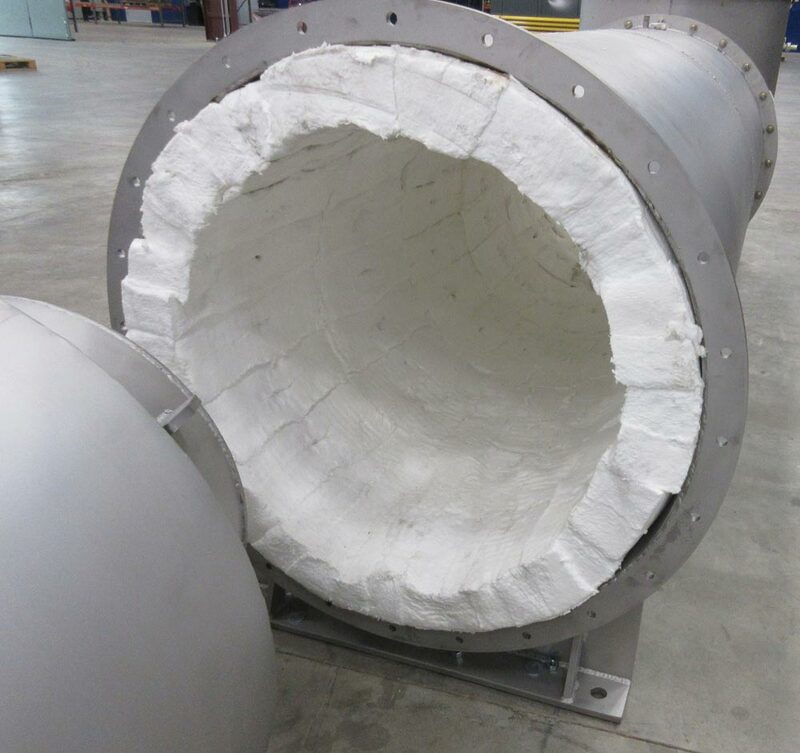 This relining keeps heat inside the oxidizer, controlling temperature to enable the intended transformation of VOCs and ensure other system components remain free from heat damage. We test every functional element after repair, in order to guarantee our retrofit and repurpose service. Learn more about our service capability and our commitment to enduring client relationships. For more information about how thermal oxidizers work in soil remediation systems, check out the details for that custom application.